"Louis Robert Perini (2 of 4), Commencement ca. 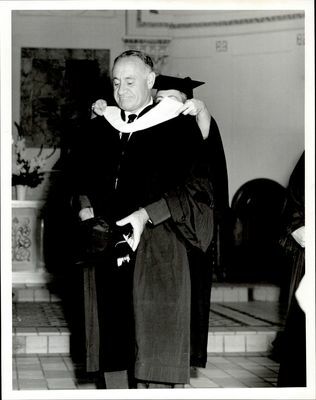 1950s - 60s"
Louis Robert Perini is hooded as part of Lesley honoring him with an honorary doctorate. You can learn more in Lesley Review (Winter 1963).